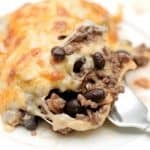 Look, I know what you are thinking, can there really be such a thing as low carb green chili. Well the answer is yes…and no. If you are purchasing green chili in store or from a restaurant, you have minimal chance of eating low carb. I however, have found a solution that gets you a ton of flavor with very few carbs! Diced Green Chili and a few spices. I know, it is not that smother all the things in it, green chili that you are dreaming of, but I promise you that it hits the spot, gives you that spice and will make that boring cauliflower mash, come to life! Cooking this recipes is super simple. Start by chopping up a head of cauliflower and steaming it. This is where I add my first few spices as well. A touch of garlic salt, some dried oregano and chopped onions and you are off to a great start. While the cauliflower is steaming with the spices, start browning your sausage. 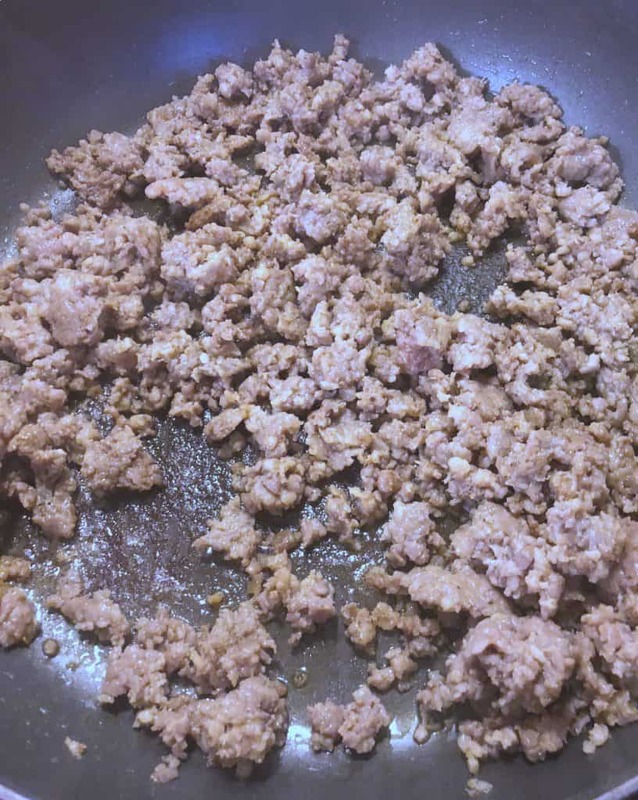 I also like to add a little of the garlic salt to my ground sausage as well. Once the sausage is cooked, add in a can of diced green chilis and do NOT drain. You want all that flavor. 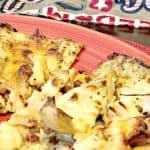 My family also loves mushrooms in this recipe, but you can have it with or without, your choice. Mushrooms will add carbs to your meal, so if you are trying to stay low carb, nix them. Mix the meat and green chilis (and mushrooms) together and allow the green chili juice to simmer. 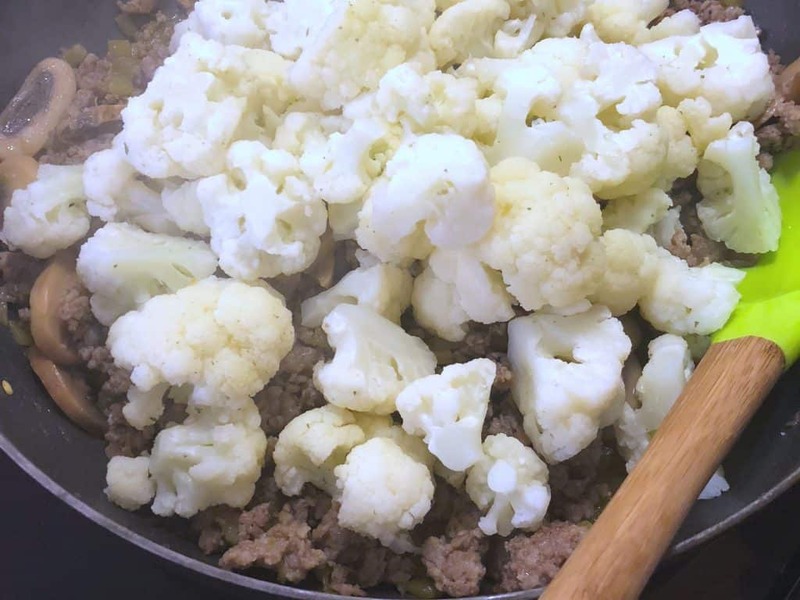 Once the cauliflower is done being steamed, add it to the pan and toss everything together. It is ready to serve. If you came here just for the recipe, feel free to print the instructions and ingredients list below. You can thank me later. 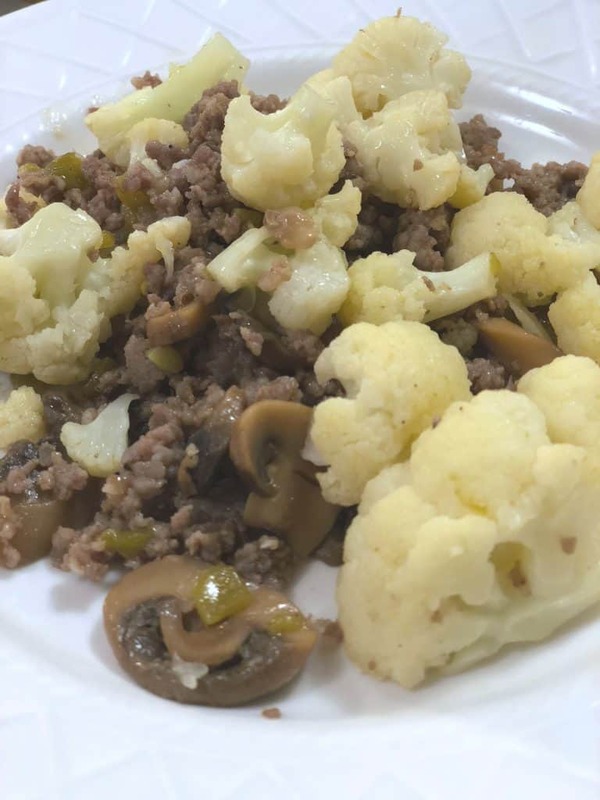 An easy and low carb recipe for green chili cauliflower mash. 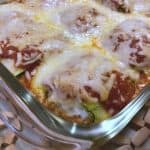 Great for keto dieters and anyone looking to eat low carb without sacrificing flavor. 1. 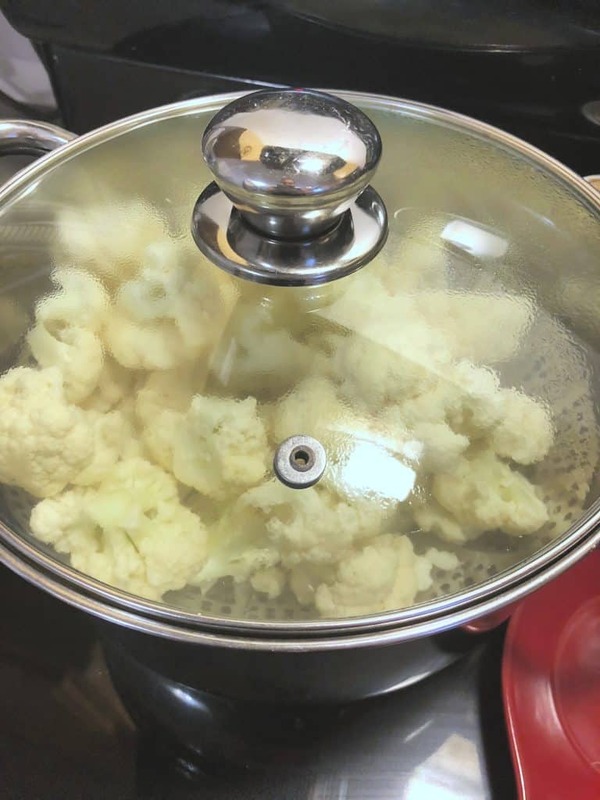 Chop up the cauliflower into smaller pieces and place in a steamer. Add the oregano, garlic salt and dried chopped onions to the steaming cauliflower. 2. Brown the sausage. You can add some more garlic salt if you would like. 3. 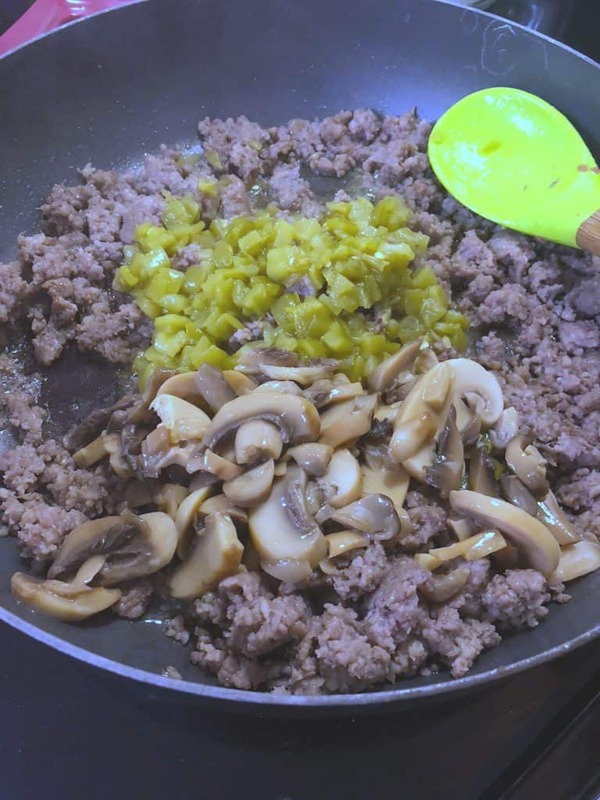 Once the meat is cooked, add the diced green chilis (and mushrooms if you want) and mix together. Make sure not to drain the green chilis and to simmer everything for 3-5 minutes. 4. 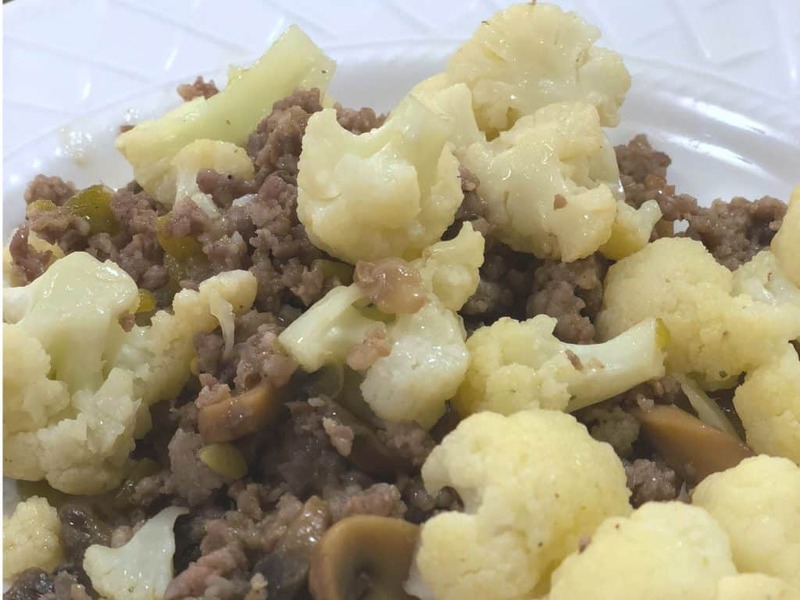 When the cauliflower is ready, add it to the meat mixture and combine. 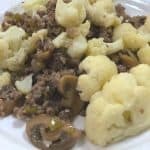 This low carb Green Chili Cauliflower Mash is amazing. My husband begs for this dish weekly and it has so much incredible flavor that it really hits that spicy spot. Make sure to grab the recipe above and let me know what you think in the comments below. Previous Post: « Disney On Ice Presents Dare to Dream Makes its Way Back to Denver!